As we already know, since most of us went through it at least once, a moving process can take a lot of time and requires making plans in advance, sorting out our budget and making checklists. In order to get more money, if you are selling your previous house, you should think of keeping your home clean while moving too. Since moving is stressful and gives us a lot of headaches, most of us just want to get over with it. Keeping your home clean while moving is important too, and if you can not do it yourself you can hire move-in and move-out cleaning services to assist you or do the job instead of you. However, when you are moving in into a new house or apartment, you should prepare a box with cleaning supplies in advance. It’s recommended to clean your new home before you unpack all the furniture and items you possess. No matter how clean the previous owner left it, you should still go through every room and clean the dust and dirt before you start unpacking. Therefore, keeping your home clean while moving won’t be a problem if you are following further tips that we prepared for you! Whether you are making a short or long-distance move, you might consider hiring a professional moving company. One of the best moving companies is professional Hawaii Movers who have years of experience in the moving industry and well-trained workers. Keeping your home clean while moving won’t be a problem for this professional mover because they can provide cleaning services too! 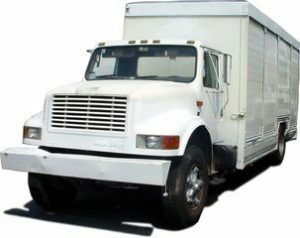 Every professional moving company has a lot of moving services! They can also provide moving in and out cleaning services too! The best thing you can do is prepare in advance, that is always a key to success! Cleaning will be easier if you prepare a playlist or audiobook to listen to while you are working. However, if you are moving in together with your partner, you should make them help and clean with you too. In addition, check on top Hawaiian locations for couples! Ok back to work! The best time to clean is after your boxes are out of the apartment or before you start unpacking if you are moving in! If the house is empty, cleaning will be easier and faster and you won’t be tripping all over the boxes and unpacked items around. These are the tasks you should be aware and have in your cleaning checklist, no matter if you are moving in or out! You will have to repair any damaged lighting fixtures, clothing racks and permanent wall furniture. Remove all hooks, screws, and nails from the walls and ceilings. After that, you should fill the holes and paint over those places. Clean and vacuum every room in your house, start with corners and windows. Be sure not to miss any dusty and dirty places. If the room has a wooden floor, you will have to mop the floors as well. If you are taking a break from cleaning or you have a professional cleaning company hired, you can take some time to explore fun activities in Maui! 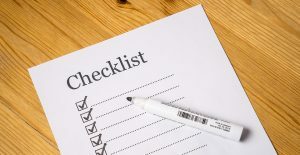 The best way to stay organized is to make checklists! Alright, we will start with places that we are spending the most time in! Things you should do when it comes to cleaning the living room, bedroom or library! Use an all-purpose cleaner to wipe window frames, lighting elements. ceiling fans and other built-in pieces of furniture such as cabinets and shelves. Clean the fireplace if your new home has one! Don’t forget about air vents! 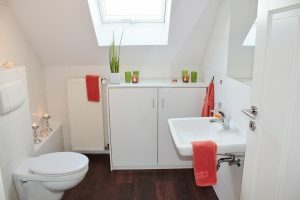 Keeping your home clean while moving – Bathroom! Use all-purpose cleaner for walls, towel racks, light fixtures, and doors! You should use a specialized cleaner to scrub the toilet, but don’t forget the base where dust gathers often! After that, use a specialized cleaner to clean shower and/or bathtub. Don’t miss the shower rack and soap dishes. After that, scrub the sink, and shine the faucets. Vacuum the floor and mop it if necessary. Do not forget about the mirror, that’s the last thing on the list when it comes to bathroom cleaning! Cleaning your bathroom will be easy if you are doing it often and properly! All you have to do is refresh a little every other day! Keep your home clean while moving – Kitchen! Time to clean the kitchen! But, before you start, you should know that decluttering your home annually is a good thing to do in order to keep your home neat and fresh all the time! If your oven has a self-cleaning option, use it! After that clean the freezer and refrigerator on the inside and outside. Do the same with stove, microwave and other appliances that you have! Move your freezer, dishwasher, laundry machine or any other appliance that you have so you can clean behind and under them too. Clean shelves, cabinets and drawers and empty garbage disposal. Vacuum floors and use special cleaning products to clean wooden floors or tiles. In the end, you should take care of entry and exit ways. Clean any extra dirt, scrub stains on the walkway and clean outdoor windows. Also, clean outdoor trash and recycling bins. These were tips for keeping your home clean while moving. We are sure that you will take care of everything before you move out and also before you move in into your new lovely home! Hopefully, this article was helpful! Have a nice life!